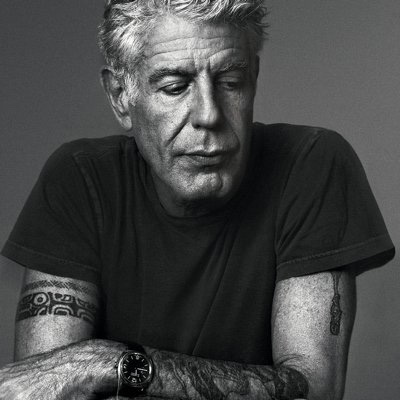 Anthony Michael Bourdain (June 25, 1956 – June 8, 2018) was an American chef, author, and television personality. A 1978 graduate of the Culinary Institute of America and a veteran of numerous professional kitchens, including many years spent as executive chef at Brasserie Les Halles, Bourdain first became known for his 2000 book Kitchen Confidential: Adventures in the Culinary Underbelly. He took his own life. Post a pic or comment here.